Yehuda Amichai (1924-2000), Israel's most renowned poet, was born to a religious family in Wurzburg, Germany, and was raised speaking both Hebrew and German. His family immigrated to pre-state Israel in 1936. Amichai served with the British Army's Jewish Brigade in World War II and fought in the elite Palmach unit during Israel`s 1948 War of Independence. He studied literature and biblical studies at the Hebrew University of Jerusalem, and was poet in residence at numerous universities, including Berkeley, NYU and Yale. 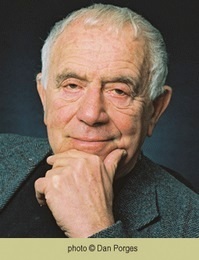 Amichai published 13 books of poetry; he also wrote two novels, a collection of short stories, children's books, and plays which have been performed in the USA, Germany, Italy, Poland and Holland. Amichai's work has been published in 40 languages, and is included in high school and university syllabuses worldwide. Among the many honors he received: the Shlonsky Prize (1961), the Brenner Prize (1969),the Bialik Prize (1976), Wurzburg's Prize for Culture (Germany, 1981), the Israel Prize (1982), the Agnon Prize (1986), the Malraux Prize (France, 1994), the Literary Lion Award (New York, 1994), Macedonia's Golden Wreath Award (1995), the Norwegian Bjornson Poetry Award (1996), an Honor Citation from Assiut University, Egypt, and numerous Honorary Doctorates. He became an Honorary Member of the American Academy of Arts and Letters (1986), and a Distinguished Associate Fellow of the American Academy of Arts and Sciences (1991). His work is included in the "100 Greatest Works of Modern Jewish Literature" (2001), and in innumerable international anthologies. He was nominated for the Nobel Prize on more than one occasion. Amichai's archives are kept at the Beinecke Rare Book and Manuscript Library of Yale University. Through his synthesis of the poetic with the everyday, Amichai effected a revolutionary change in both the subject matter and the language of poetry. He is one of our great poets... Once one has heard his quiet, even tones, precise, distanced and passionate, one can never forget them. 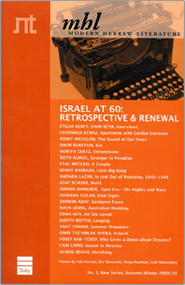 Amichai was loved by his readers worldwide...and it is not hard to see why. His poems are... profound: humorous, ironic and yet full of passion, secular but God-engaged, allusive but accessible. I`ve become more than ever convinced that Amichai is one of the biggest, most essential, most durable poetic voices of this past century - one of the most intimate, alive and human, wise, humourous, true, loving, inwardly free and resourceful. One of the real treasures.